With a two-week social media campaign to increase the attendance, there were high hopes that a good size crowd would be at this match. The club was not disappointed with a turn out of 180 to watch Warminster come out as 1 - 0 winners. The first half was disappointing with a lack of quality from both sides with few chances for either team and little to write home about. The home side had an early opportunity when in the 7th minute Lewis Graham shot on target from a corner kick but, unfortunately, went straight to Scrivens, Radstock's keeper. A nil-nil at half-time was a fair outcome and no doubt the Red & Black's manager, Andy Crabtree would have some straight talking to do to get them to raise the performance to that which was being shown on the pitch. The second half proved that action had been taken in the dressing room and probably why the home side was the last back out on the pitch! Within the opening seconds, Warminster were creating chances. The best of which was in the 52nd minute when good work by captain Charlie Walton, back from his suspension down the left was able to cross into the box. Conner McKay turned and shot from the edge of the penalty area forcing the keeper to make a fine save. A couple of minutes later a corner taken by Eban Mortimer-Taylor was met by the head of Walton 12 yards out and headed just over Radstock's crossbar. 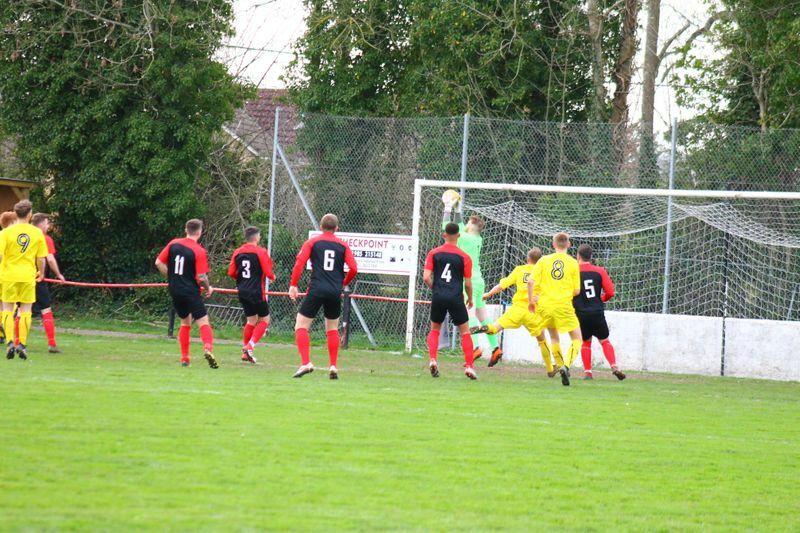 In the 57th minute, Radstock forced Nathan Ball in goal for Warminster to pull off an excellent save when a shot from the right just inside the penalty area was heading goalbound. Ball dived high to his right and got his hands to it sending the ball over the bar to keep the game goalless. The resulting corner was also caught by Ball in his 6-yard area, something which he had been doing well all game and proving why he is Warminster's number one keeper. 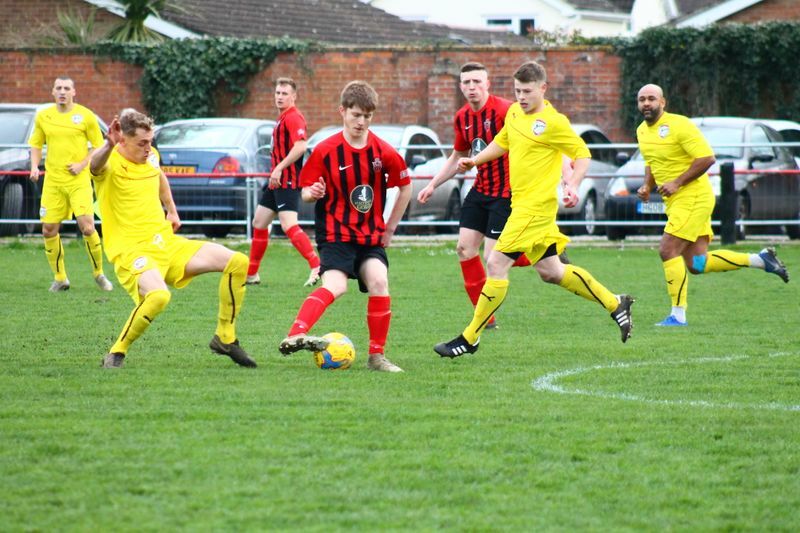 As the time left for scoring was reducing it looked more likely despite the improved performance and the number of corners which Warminster were winning that it was going to be a goalless day for them. With 5 minutes of normal time remaining a throw-in was awarded to Warminster on the right inside the opponents half. 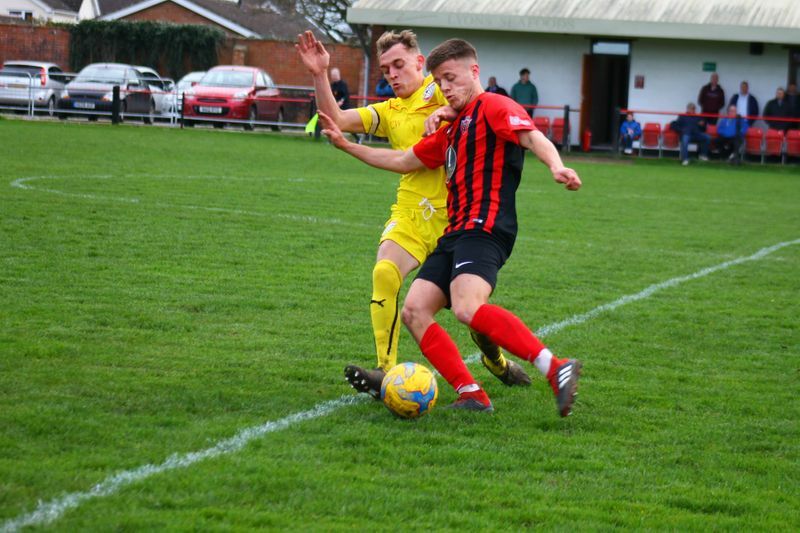 This was first headed on by Joel Sissons then headed again from the ever-busy Walton and was met by the head of Jake Wright on the edge of the 6-yard box and squeezed the ball in between the left post and keeper Scrivens who couldn't prevent the goal. Rob McFerran Warminster's assistant manager said after the game, "We started the game slowly and never really got going in the first half. By the high standards we've set of late we did at times look a bit nervous at the back. On days like that you need your keeper to be in great form which Nathan Ball was, he collected every cross with ease, made a top save in the second half and kicked well all game which certainly takes the pressure off. Good teams find a way to win when they don't play well and we kept going to the end and collected all three points." The next game is another home tie when the bottom of the league Bristol Telephones will be the opposition. 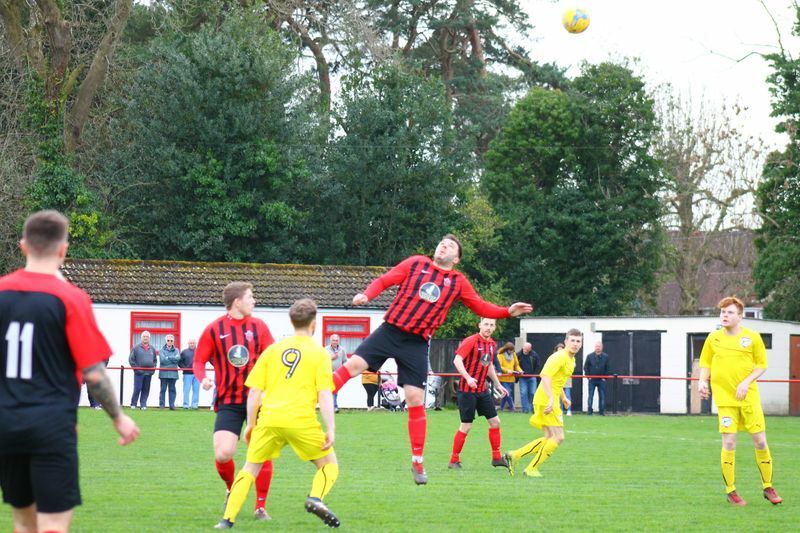 Warminster beat them seven goals to one earlier in the season, so let's see if there will be another goal fest on Saturday, March 30th. kickoff 3.00pm.